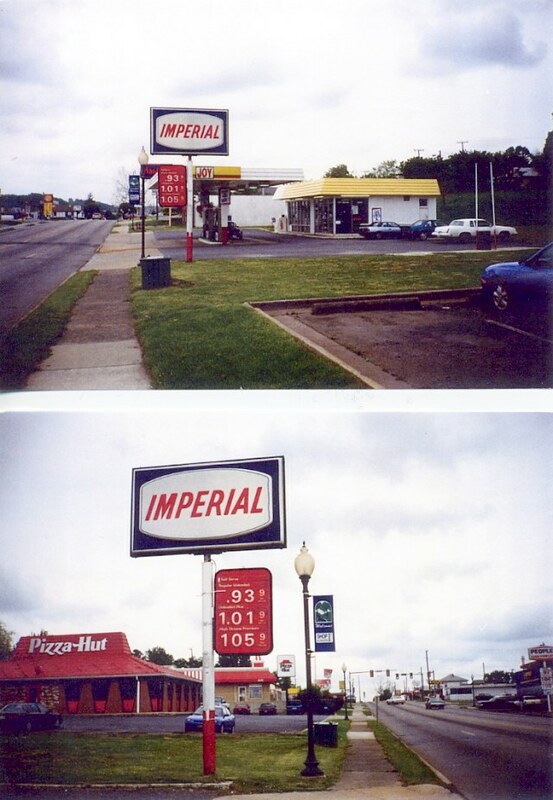 A Joy food mart with Imperial gasoline in 1998. Taken Nov 2003 by Robert Droz on his US 1 trip. 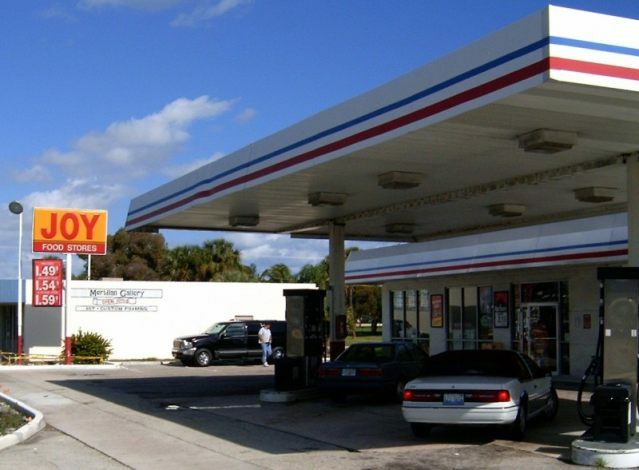 This is part of L.M Hughey's Tampa, Florida based operation. 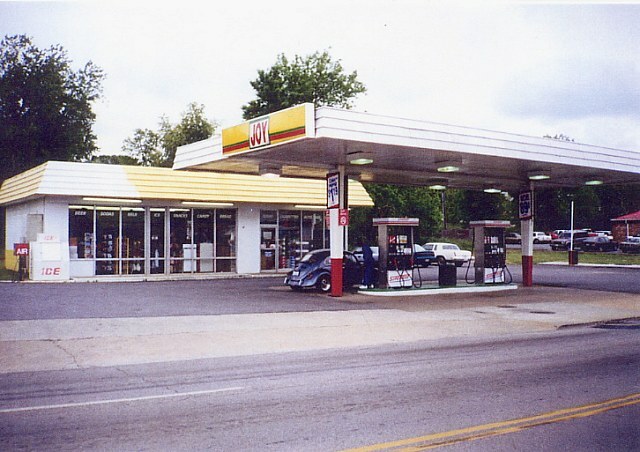 some still with Joy Food Stores. It gets a little confusing, but that's the way it is in the oil business!